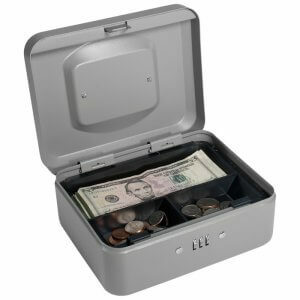 The Standard Register Style Cash Box by Barska is ideal for conducting cash transactions while on the go. 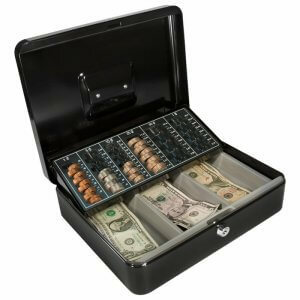 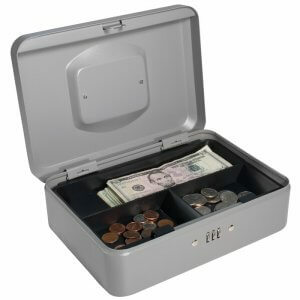 A tough steel construction and internal organization trays help keep cash secured and organized. 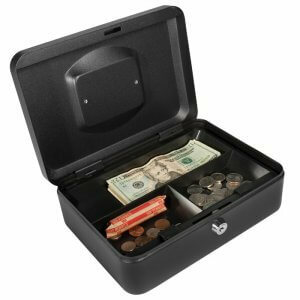 The 5 section coin tray automatically lifts when the cash box is open, allowing for easy access to the coins. 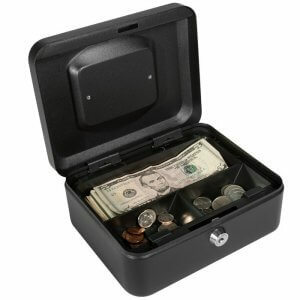 This standard size cash box features a folding recessed carry handle for enhanced portability and storage. 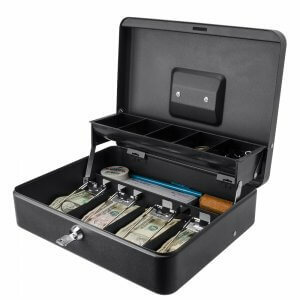 The Standard 12in Register Style Cash Box is the perfect storage soltution for conducting and securing cash transactions while on the go. 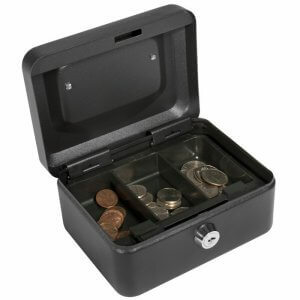 A tough steel construction and mechanical key lock prevents tampering and ensures that only authorized users can access the contents within. 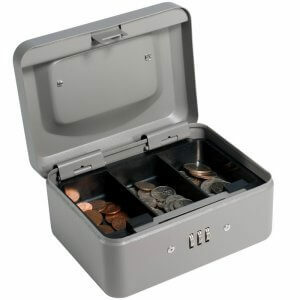 The change tray automatically lifts and lowers when the cash box lid is opened or closed, provinging a compact method of storing and transporting money.